Home / How-To Library / What is Ductless Air Conditioning? Staying cool isn’t cheap. The U.S. Department of Energy reports that 6% of Americans’ energy usage goes to cooling their households, and overall it costs the country roughly $11 billion to power air conditioners every year. These costs are encouraging many Americans to find ways to save money on cooling. Some are upgrading to high-efficiency central air conditioning units. Others are ditching their central forced air systems altogether and installing mini splits for heating and cooling. 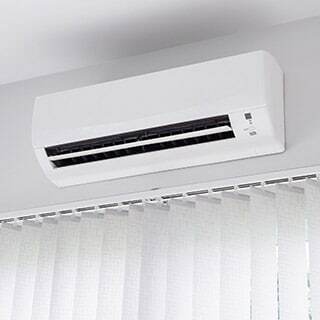 Developed by Asian manufacturers in the 1970s, mini split ductless technology has gradually spread around the world as one of the best alternatives to ac cooling. Today, it is rapidly becoming a solution for American households seeking improved comfort and efficiency. A mini split system is a cooling and/or heating option consisting of one outdoor condensing unit and one or multiple indoor units that condition individual spaces. 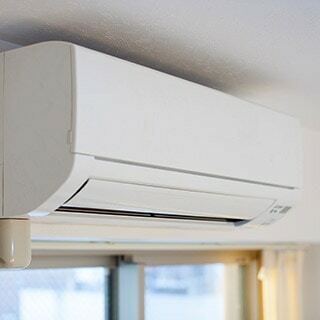 Mini splits operate on the same principles as a central a/c system, but they are designed to condition one space at a time which is why, to cool an entire home, you may need to buy several indoor units. The indoor unit(s) draw warm air from the home. The warm air passes over a fan coil filled with liquid refrigerant and cools (moisture is also removed). The fan coil pushes the cooled air back into the indoor space. After the refrigerant absorbs heat from the air, it turns into a gas and moves via a line set to the outdoor condenser. The outdoor unit uses a compressor, condensing coil and fan to dissipate heat from the refrigerant, revert it to liquid form, and send it back inside for another round of cooling. A single-zone mini split system uses one indoor unit to condition only one room. It is great if you have a home addition or only one space that you want to condition. A multi-zone mini-split system uses two or more indoor units to condition different rooms in a home. This is great for whole-house applications. You cannot convert a single-zone system into a multi-zone system if you change your mind later. You would have to buy an entirely separate single-zone system. Yes, they can heat with a reversing valve, which allows the refrigerant to flow in the opposite direction to provide heat for an indoor space. 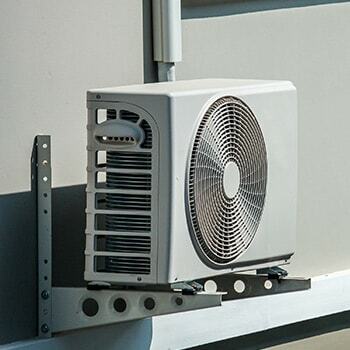 When in heating mode, the condensing unit draws outdoor warm air past the refrigerant to heat it. The heated refrigerant then flows inside, and the indoor unit releases the heat into the home. Although efficiency can be compromised when outdoor temperatures plummet, several modern units can provide heating in freezing temperatures. 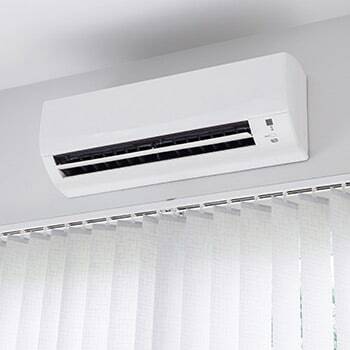 Compared to traditional central air conditioners, mini splits provide superior comfort and efficiency, operate quietly, and are relatively simple to install. Mini splits use inverter technology that efficiently adjusts system performance to keep your home’s temperature at the desired comfort level. The compressor begins running at high speed to rapidly bring the temperature to the setpoint. Afterward, it runs at minimal speed to maintain that temperature. New mini split owners often wonder why the unit never shuts off. It’s not supposed to for the reason just described. By running nonstop and adjusting performance, the mini split is far more efficient than a traditional a/c unit which wastes energy ramping up to full speed each time the setpoint temperature is lost. Think of riding a bike. You have to pedal harder at first to gain momentum, but once you get going, you’re able to use less energy to keep moving. The effects of this efficient operation mean the temperature is always exactly how you want it. Not lower and not higher. You won’t be paying extra for unnecessary energy use. Also, the EPA estimates that 20-30% of air moving through a traditional forced-air system is lost due to leaks. Ductless units avoid these pointless losses. Unlike the cement mixing sound of many window air conditioners or even traditional central a/c, mini splits have ultra-quiet fans that only create a gentle whoosh sound. For this reason, mini splits have been used by many schools, churches, and libraries across the nation. You’ll feel the temperature difference without having to hear it. 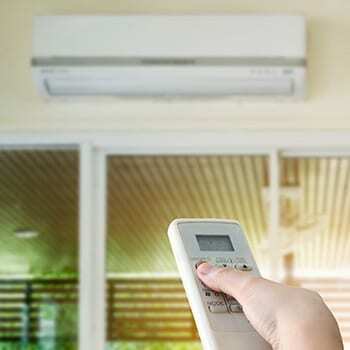 If you’re starting from scratch and choosing between a traditional forced-air system and a ductless mini split system, the latter will be much simpler to install. Think about it. 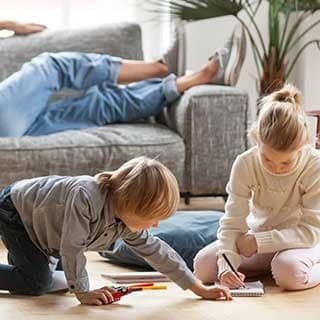 Instead of running ductwork all through the house, your installer only needs to install the condensing and indoor units and connect them by running a copper line set, electrical and drain through a 3-inch opening. If you're wondering, "Will a mini split save money?" 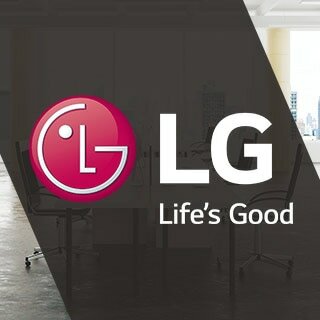 it will depend on installation. 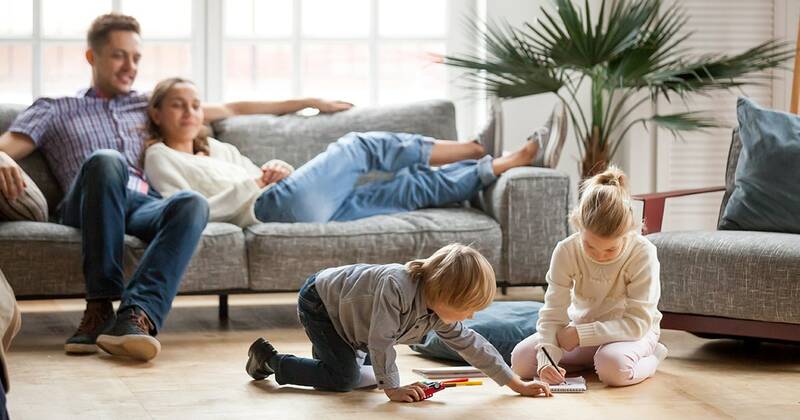 Although the initial install of a ductless mini split system may cost roughly the same as installing a traditional ducted system, the superior efficiency offers long-term savings and complete control of your home comfort heating and cooling needs. When it comes to new construction, it will typically be less expensive to install mini splits than running ductwork from scratch. Mini splits will also likely cost less than ductwork if switching from a boiler system. Wall-mounted units are mounted at least 6-feet high on a vertical wall. Ceiling cassette units are installed nearly flush in a ceiling without the internal components showing. Concealed duct units are installed out-of-sight, nearly flush with a wall. Ceiling suspended units hang from the ceiling to condition larger areas than a wall-mounted unit. Floor-mounted units are installed at the bottom of the wall near the floor if there isn’t enough clearance for a wall-mounted unit. The following is a short glossary of important mini split accessories and their role. Line Set: The line set is a pair of copper tubes that transports refrigerant between the outdoor condenser and the indoor unit(s). Line Set Covers: As their name states, line set covers fit over the line set tubes to protect them from the elements and UV exposure. Electrical Requirements: Mini splits need a dedicated electrical line running to your home’s electrical panel. 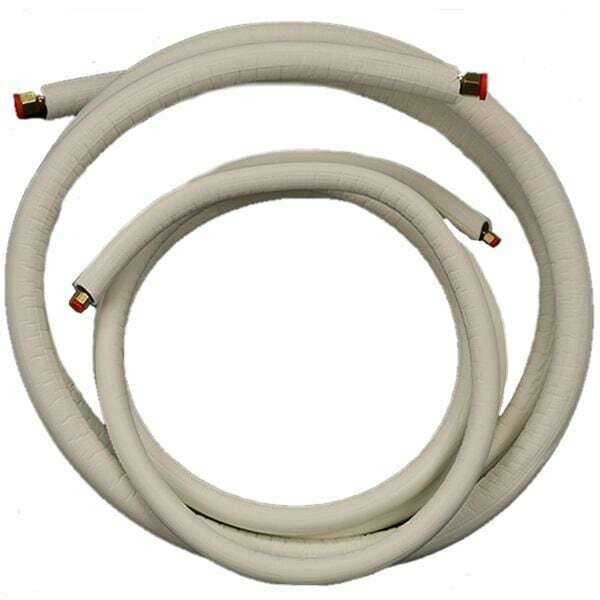 Specific wire gauges are also required, in addition to electrical whips, connecting cable, and a disconnect box. Controls: There are multiple options for controlling your mini split system, including standard controls, smart thermostats, and WiFi-enabled options. Condensate Pumps: As mentioned, mini splits not only condition the air, but also remove moisture. That moisture needs to go somewhere, and a condensate pump will send it to a drain line. Although a mini split can be simpler to install than a traditional ducted system, in order to protect your warranty, you will need a licensed professional doing the work. Installed properly, a ductless system will help place your home on the cutting edge of smart, energy-efficient technology and keep you more comfortable than ever before.